Naalaya Iyakkunar program in a private Television channel has been providing the Tamil film industry with a lot of exciting talents in direction, the best example could be Nalan Kumarasamy. Now there is one more name to this list in the name of Guhan who is currently working in his maiden directorial venture. The film is titled Savaari and is said to belong to the thriller genre. The cast comprises of newcomers but for an experienced person as cinematographer. He is none other than Chezhian, the DoP of Tharai Thappattai who has finished the 1st schedule of the film and will be off to the 2nd schedule in Tanjore. 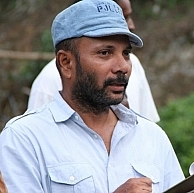 Savaari has completed 50% of the shooting and the remaining will get completed in the coming days. Best wishes to Guhan and the Savaari team! Mahavan gets the shape of his life ! People looking for online information on Chezhian, Guhan, Savaari, Tharai Tappattai will find this news story useful.